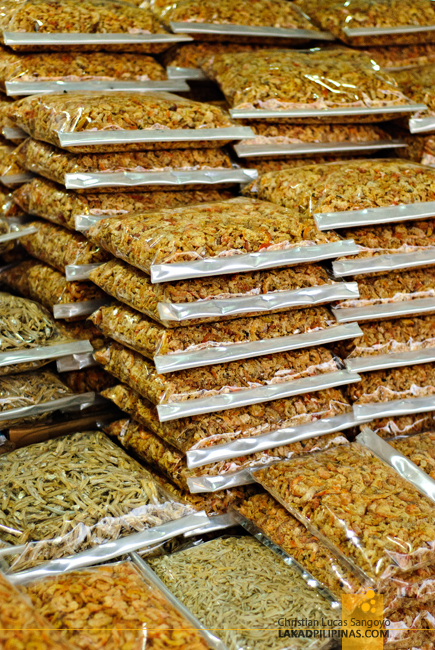 The aroma of roasting chicken wafted through the busy hallways of the open-aired Kota Kinabalu Central Market and right into our path. 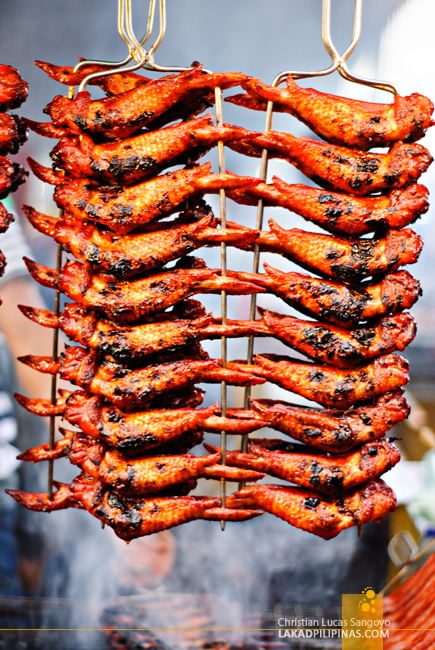 A few steps further, we saw an unbelievable sight of skewered barbecued chicken wings. My mouth watered and my hands immediately went to my wallet. Quickly, my enthusiasm was curbed, we have pressing matters to attend to first; like shopping. 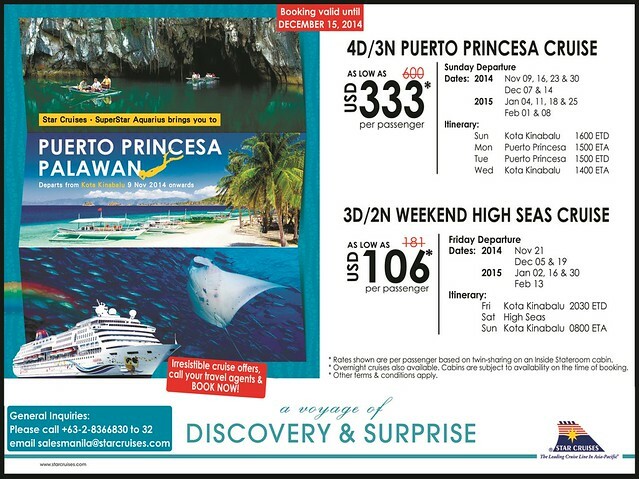 It was the last day of our four-day Kota Kinabalu-Puerto Princesa cruise trip and we were finally bidding the Superstar Aquarius ship a final farewell. Packing our bags, we were fetched at the port by a persiaran or tourist van to finally see the city itself. 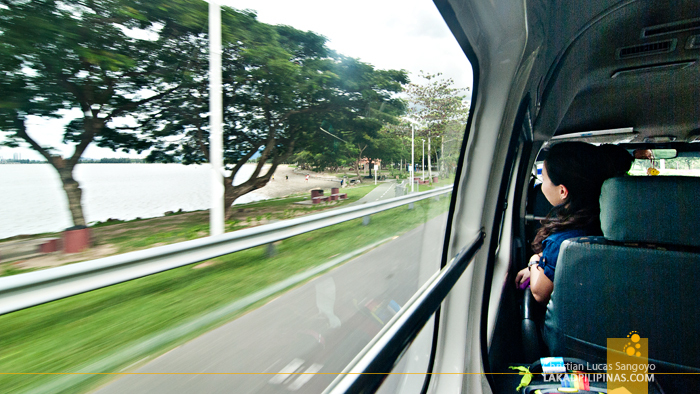 We rushed through the winding coastal road of Kota Kinabalu, giving us a passing glimpse of the city. I’ve been to Kuala Lumpur and Penang before but have never been to this part of Malaysia. 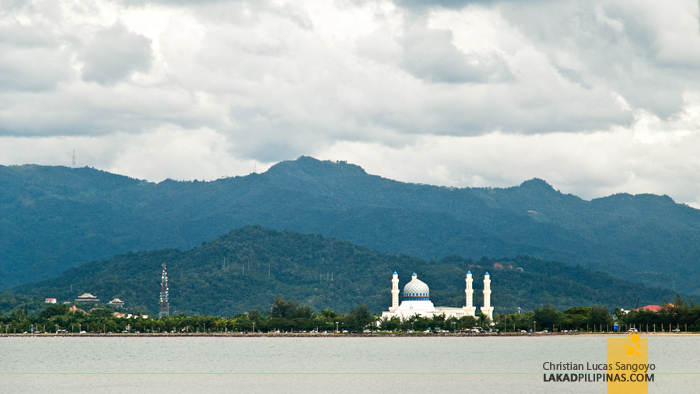 I can’t seem to see any similarities between those places and Kota Kinabalu, the city seemed too sparsely populated. The first place we visited a circular skyscraper that looks like it would take off any second, the Tun Mustapha Tower. Alvin, our guide, said that this is the tallest building in Kota Kinabalu, which he quickly laughs off as he compared it to the buildings in Manila where he has surprisingly have also visited before. It stands 400 feet high, with 30 floors. There’s a rotating restaurant near its top, and it would’ve been more interesting if we had the time to dine there. 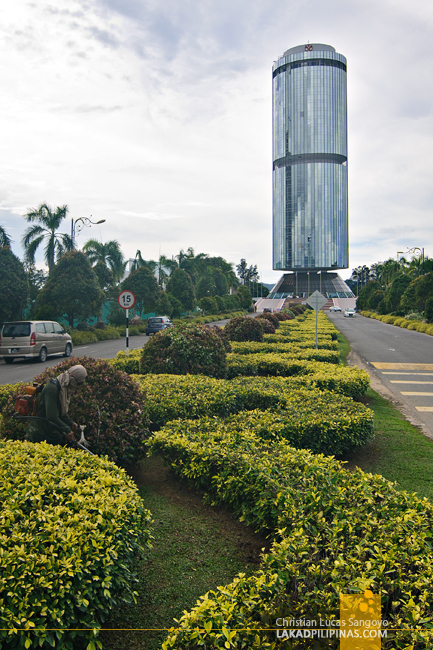 We then drove towards the largest university in Sabah, the Universiti Malaysia Sabah. 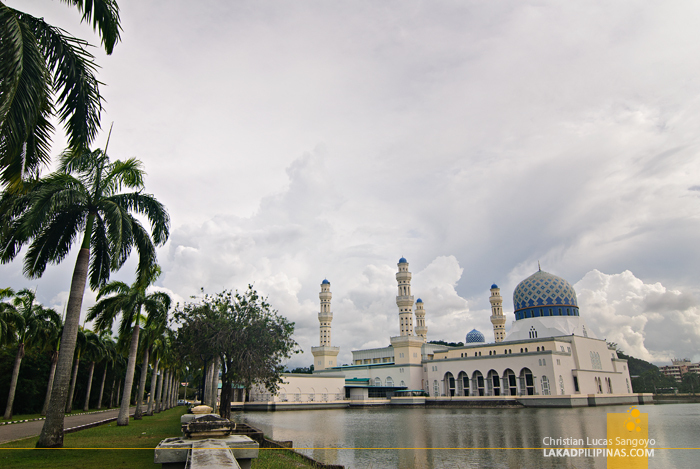 The campus is sprawlingly huge it even has its own mosque, which is really quite beautiful. I can compare the atmosphere to that of UP Diliman, but sans the students; which was quite strange really, being a weekday. We asked one passing kid where the rest of the students were and he smiled, in the classrooms, studying! 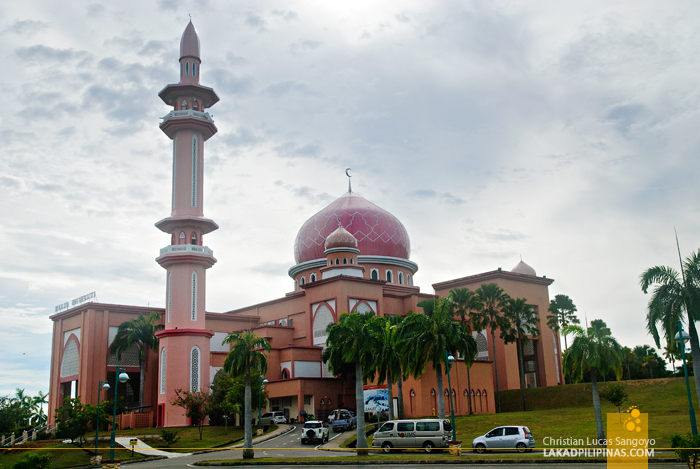 With limited time, we hurried forward with our itinerary and stopped by the Kota Kinabalu City Mosque; in local tongue, Masjid Bandaraya Kota Kinabalu. It sits on a man-made lagoon, its water coming from the nearby sea. Dubbed as the Floating Mosque, it looked really quite poetic. Tourists are allowed inside with proper clothing. Yeah, we’ve got the proper clothing, but what we don’t got is the proper time. 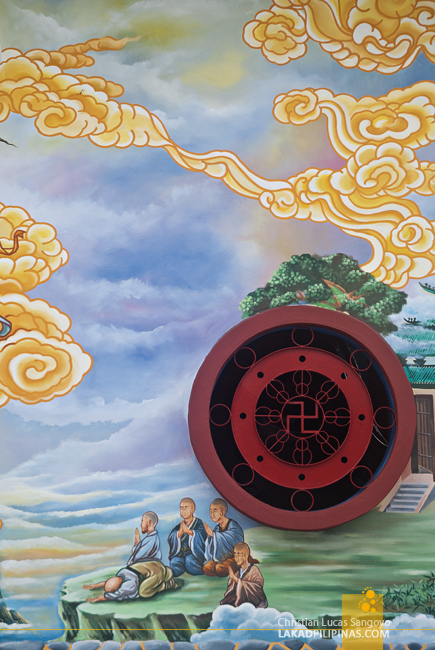 Next on our list was a Chinese Buddhist temple. 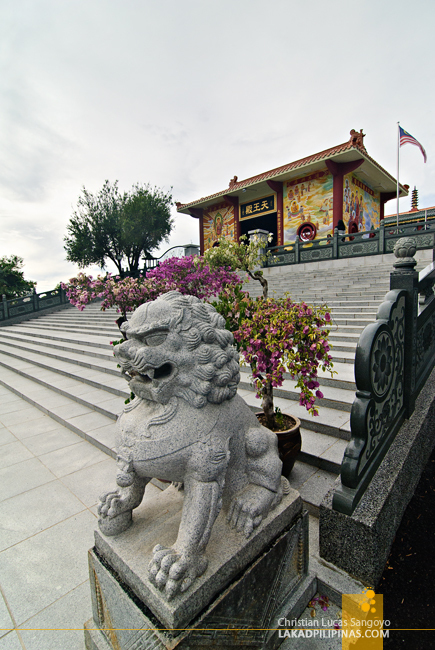 At first I thought it was the Puh Toh Tze Temple, which is the most popular of its kind in Kota Kinabalu, but the signature ten deities that front it were nowhere to be found. So I guess this is simply a minor temple. 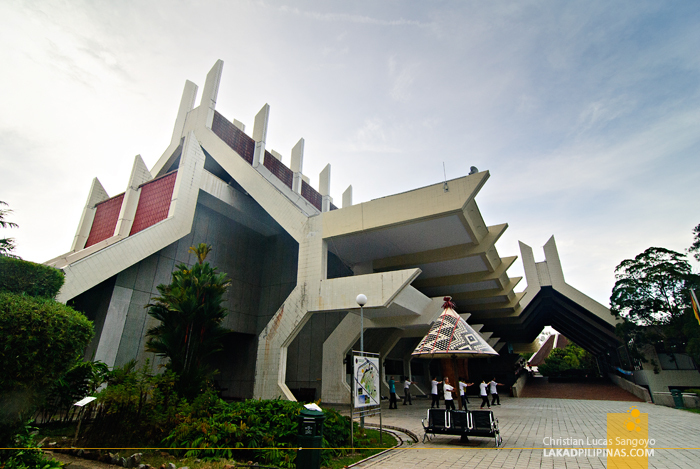 Nevertheless, its architecture and details are worth the ten-minute stop. They have clean restrooms, so that’s a plus point especially for the oldies who really dig toilet breaks. Lol. The sun was retreating far down the horizon much quicker than we anticipated and by the time we reached the Muzium Sabah, it was almost sundown. 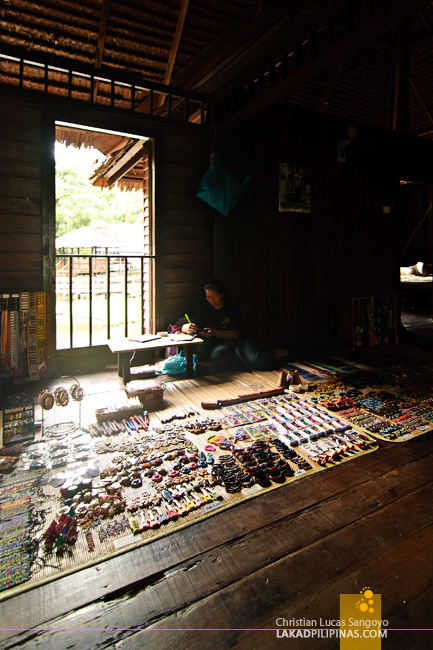 We quickly went through a nature trail where traditional Sabah houses are showcased. 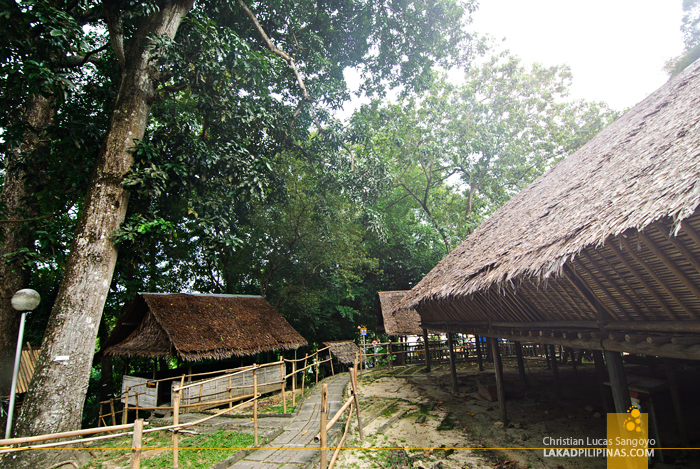 It looks quite similar to the Filipino thatch house or bahay kubo, which only proves that we did have similar ancestors, only their houses are much, much larger. How large? A single hut can room multiple families inside. It’s like an apartment of sorts. 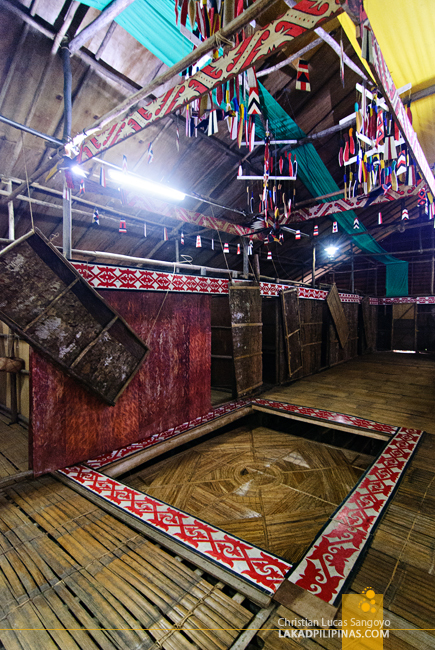 The houses were almost fully made from bamboo and visitors are allowed to get inside its rickety interiors. It was interesting to see an area where a trampoline-like floor, still made from bamboo, is set for jumping games. 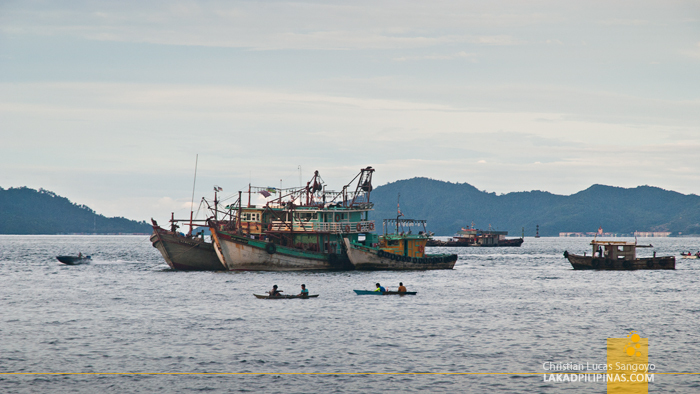 The sun was kissing the horizon when we reached the Jesselton Point Waterfront. I was quite excited since I was finally in my element, the sea and the golden hour. Alas, it wasn’t meant to be as my companions, well, me included, wanted to buy a few stuff before we leave for the airport. Passing by the Kota Kinabalu market, we encountered all sorts of new and strange wares and creatures. The one that really struck me was the lobster-like thing being sold along the vicinity. 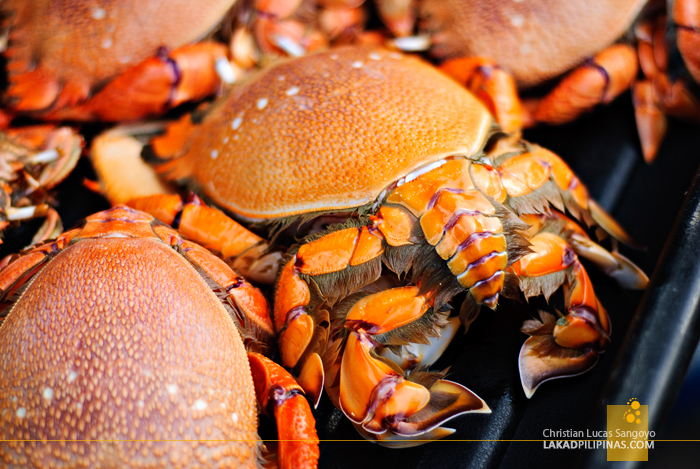 It doesn’t seem to be a lobster nor a curacha (slipper lobster). It was something else altogether. And then we’re at the street food area of the market and I tried my darnedest best not to stop and simply eat the afternoon and evening away. 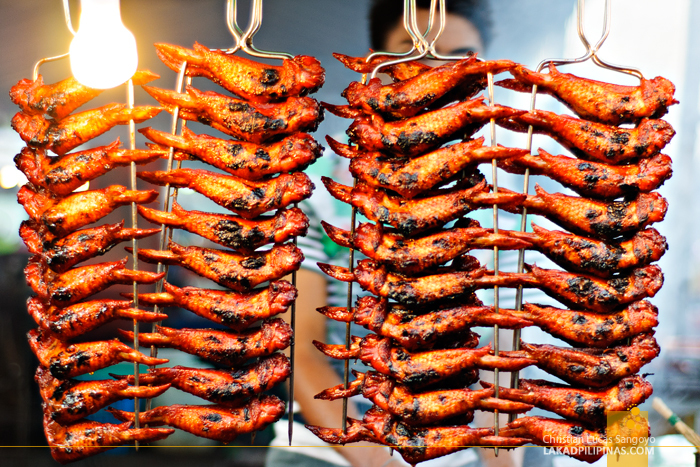 From here, the Filipino market is only a few feet away and we can already hear our kabayans speaking the Filipino tongue. Also called the Handicraft Market due to the numerous handicrafts being sold there, the Filipinos manning the stalls mostly came from parts of Mindanao. They warmly smiled as we passed, recognizing us as fellow brethrens. When we said shopping, it meant grocery shopping. 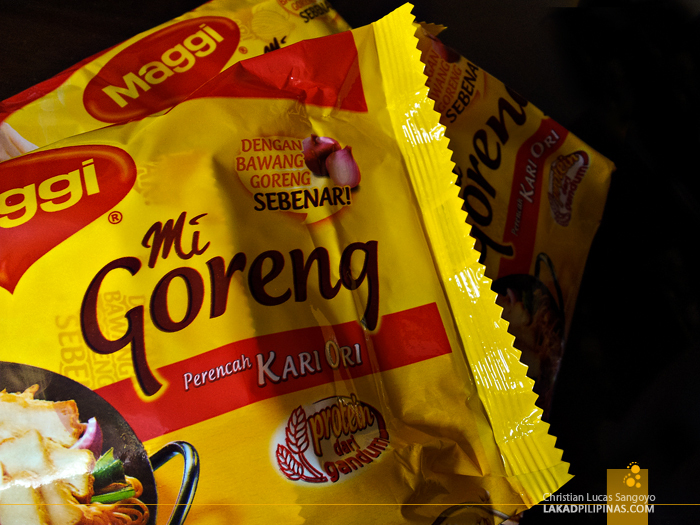 Craving for mee goreng since having it in KL some months back, I dutifully grabbed packs and packs of the instant noodles along with bags of White Town and Mario coffee as we finally reached the grocer. Before I knew it, I was carrying two grocery bags full of instant noodles and Malaysian Coffee. And before finally relenting to dinner, I excused myself and quickly headed for the nearest Starbucks Coffee. 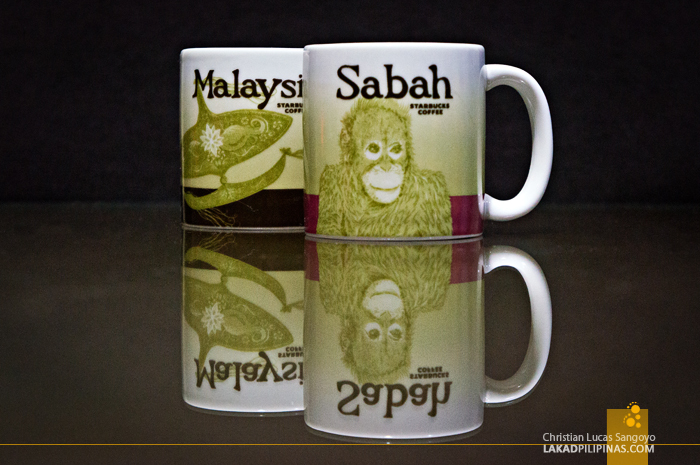 I simply cannot leave Kota Kinabalu without getting myself a Starbucks Global Icon Mug of Sabah. I used to have dozens of these that I bought from Kuala Lumpur, but I sold them off, thinking I’d never be going to Sabah anyways. Well I was wrong. I’m in Sabah now and I’m buying one more mug as proof.